Ten students from the college will work with the famous Roca Brothers across four nights at the pop-up in the Café’s Domino Room at the start of August. Two of these will then be offered a four-month internship at El Celler de Can Roca in Girona, which has frequently topped ‘World’s Best Restaurants’ lists, as part of the restaurant’s partnership with BBVA. London will be the first stop of the BBVA-El Celler de Can Roca World Tour 2016. The Westminster Kingsway College students will be working as part of a team of 35 from El Celler de Can Roca, who’ll be serving 60 guests each night an 18 course dinner, influenced by local cuisine. Alongside the students, Joan will be assisted by his younger brother, award-winning pastry chef Jordi, while wines will be chosen by brother Josep. The Brothers will also host a cookery masterclass at the College for students and media. 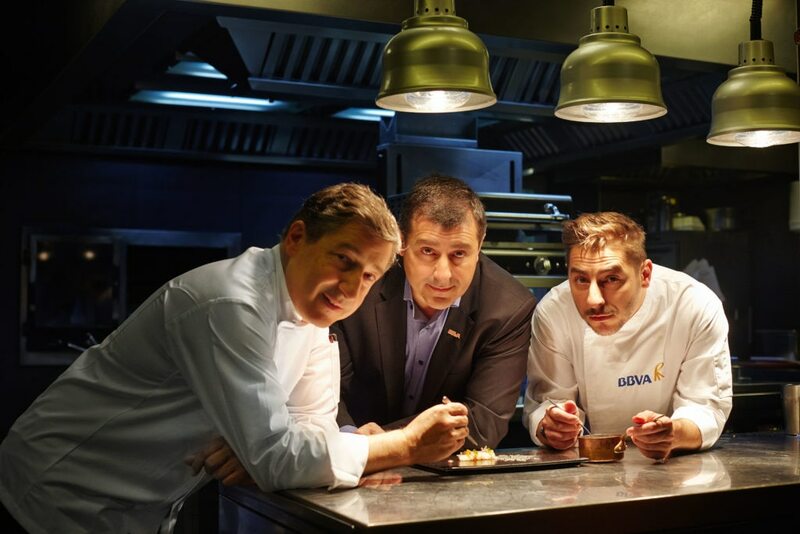 El Celler de Can Roca on the BBVA World Tour at London’s Café Royal runs from August 2 – 5. For more details on the tour, click here.